Is it a bus? Is it a comedy club? 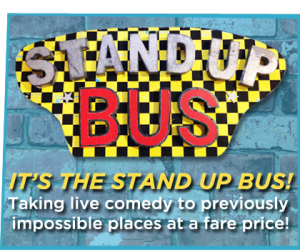 It's Hollywood's most exclusive comedy club on wheels, the Stand Up Bus! A short film about a bickering couple who make arts and crafts while their marriage falls apart at the seams. WATCH DUSTY TRICE’S FIRST SHORT FILM! 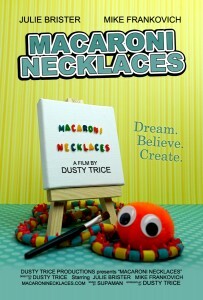 “Macaroni Necklaces” is a mockumentary comedy written and directed by Dusty Trice. The short film focuses on a bickering couple who make arts and crafts while their marriage falls apart at the seams. Starring Julie Brister as the colorfully crafty Holly Graham and Mike Frankovich as artistic handyman Horace Graham. Featuring music by Supaman, including “It Rains” & “Why”. 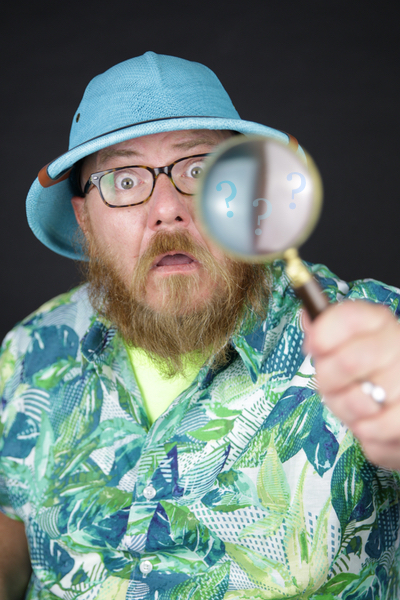 Dusty Trice is an actor, writer and comedian in Los Angeles. Trice was born in Florence, Alabama and raised in North Dakota and Minnesota. He attended the University of Minnesota and earned a Bachelor of Science in Political Science at North Dakota State University. Dusty was a political staffer for 15 years. He began performing stand-up comedy at night at the Comedy Zone in Charlotte, NC, while working days at the 2012 DNC Convention. He moved to Los Angeles in 2013 and co-created the Stand Up Bus in 2014. 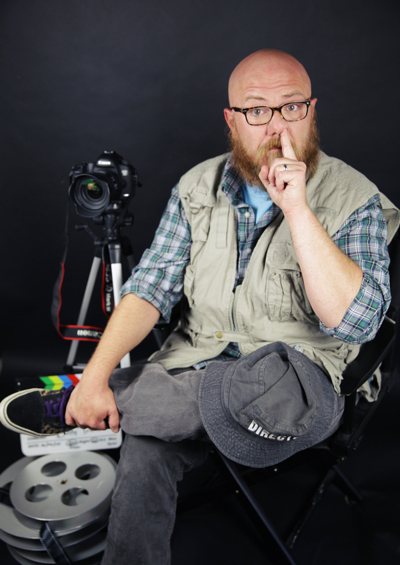 Dusty wrote, directed and appeared as himself in the short film “Macaroni Necklaces” (2016) and had a supporting role as the clerk in the USC student film “Some Like It Boring” (2018). In addition to writing several feature screenplays and treatments, Dusty has also completed his first mystery novel. Dusty Trice lives in the L.A. area with his wife Janie.